If you’ve upgraded your system to 10.10, when you look in System > Administration for Software Sources, you’ll likely find it missing. But is hasn’t been removed, just hidden. Simply right-click the System menu, and choose Edit Menus. In the left hand pane, go to the bottom and select Administration within System. In the right-hand pane, simply check Software Sources, then click Close. If you find you have two of them listed, that would be because you have KDE as well as Gnome in the one system. All you have to do to find out which one to enable is right-click them and choose Properties. The KDE version will have the command as something like software-properties-kde, while the Gnome one will be gksu --desktop /usr/share/applications/software-properties-gtk.desktop /usr/bin/software-properties-gtk or similar (the important point being the one with “kde” in the name is likely not the one you want). When you uninstall a program in Ubuntu, sometimes bits and pieces like configuration files are left behind. Occasionally this is a good thing, like when you remove a program due to some issues you’re having with it and then reinstall it again, since your old settings are usually restored. But more often than not, when a program is uninstalled it is because the user doesn’t want it, so any remaining configuration files are just wasting space. And often in the case of trying to reinstall a program to get it to work properly, a configuration setting is what is causing the issue, so a complete removal is needed. There are 2 ways to go about this: via the user-friendly GUI of Synaptic (or your preferred package manager), or the much faster way of command-line in a terminal. Either way, you’ll of course need to know the name of the program, and if possible the actual package name. While often the package name is the same as the program’s displayed name, but in lowercase, this isn’t always the case, so if unsure check out these ways of finding out. If you want to use Synaptic, open it and enter the name of the program or package in the Quick search bar. 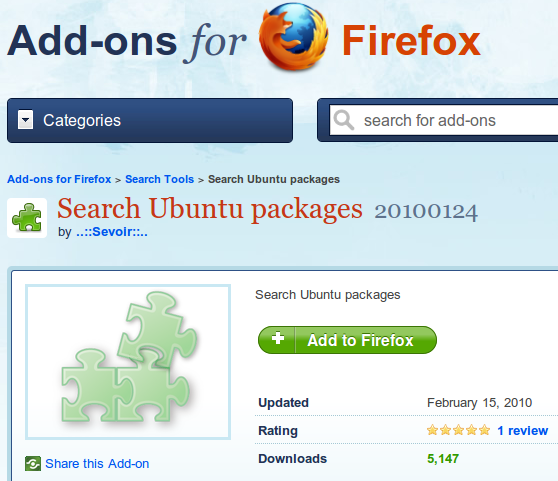 When it and related packages appear, right-click the main package and choose “Mark for Complete Removal“. It is usually fairly easy to tell which is the main base package; if the name isn’t a give-away, the information after it should clear things up. For example, AbiWord is actually abiword, so is instantly recognisable from the other packages that install with it. When you “Mark for Complete Removal“, you will be informed if other packages also need to be removed, meaning you don’t have to do this manually. When you accept the proposed changes, you will see that the program and additional packages will be removed. If there are other related packages that haven’t been automatically selected, you can do so manually before proceeding. When ready, simply click the Apply button in the Synaptic toolbar. You will receive a final request for confirmation, after which the program will be removed, along with the extra packages and any configuration files. As in the case of the AbiWord example, not everything is always automatically selected for removal, so it pays to look through the search results and see if anything needs to be removed manually (abiword-common is actually larger than the other packages combined at nearly 9Mb). Doing this before proceeding with the last step will save you coming back later. sudo apt-get purge packagename (replacing “packagename” with the actual name of the package in question). If you’re familiar with apt-get remove and wondering what is the difference, especially since additional packages are also marked for removal, the answer is that configuration files are often left behind if you simply “remove” the app. To get that command to work, the --purge option needs to be added (eg: sudo apt-get remove --purge packagename). You will still see much mention online that this is the way to do it, but since then the purge command has been added to apt-get, so this is no longer needed (though for backwards compatibility, remove --purge will continue to work). Either way you choose to do it, you should be able to get rid of all the junk that programs can leave behind when simply removed. Just keep in mind that if you ever saved any settings or user profiles etc, occasionally these can still be left behind, but they will be in config folders within your home folder (you might need to enable displaying of hidden files and folders). If you ever get a message that a certain folder could not be removed, or a certain file, just go in there later and remove it. Leave some unwanted packages behind? It’s actually pretty easy to get rid of the vast majority of packages that weren’t automatically selected for removal. When you install via the terminal, you will notice that a list of orphaned packages is presented along with the simple command to remove them all in one go. Sometimes the easiest solution is right in front of our eyes, and we fail to see it (probably because it’s too obvious). While looking through the forums it’s become evident to me that some people are needlessly driving themselves nuts browsing through categories in Synaptic Package Manager, desperately trying to find that program to install or remove, when they could be using the Quick search bar in plain view in the toolbar. While the program’s displayed name and actual package or command name can vary, in most cases, typing in either will get you results. If you know the actual package name, type that in, otherwise just type in the displayed name you’re familiar with. Results will immediately appear underneath. You can even use this just to find out the package name, which could be handy for recreating a launcher you deleted. As an example, if you accidentally deleted the “Compiz Fusion Icon” launcher from your System Tools menu, you could type that into the Quick search bar and find that fusion-icon is the actual command, so use that info to make a new launcher. Of course, if you’re looking for new software for specific tasks, and don’t know any program names, you need another approach. While I actually recommend Googling to find what’s out there, so you can read reviews and see screenshots, it’s actually very easy to use Synaptic to do it all for you. While there are different categories you can browse on the left, that can be somewhat overwhelming. So simply enter the type of software you are looking for, and you should get some results to browse through. You can then view all the info that the developer has given by clicking on a program and reading what’s in the Description tab at the bottom. You can add important words to help limit your results. For example, “video convert” will weed out the players, libraries, plugins and codecs that would also be presented if you merely typed in “video“. You can then look at the Description to see if the programs are what you need.